International Council on Pastoral Care and Counselling. Kathleen O'Connor from Ireland has written an article about the 8th World Congreress of the International Council on Pastoral Care and Counselling which was held in Poland in August. This will give an overview of the congress for those who were not able to attend. Anne Miller-Lauprete from France visited Ukraine in May 2007 and has written about the establishment and development of palliative care, giving a glimpse of the health situation in Ukraine today. Anne writes, "The exchanges between France and the Ukraine in the area of palliative care are definitely thanks to the Network and especially to the Web site." Another significant development in Prague is the agreement of both the Dean of the Charles University and the Director of the General Teaching Hospital in Prague to the establishment of a Clinical Pastoral Care Unit. As you begin your noteworthy conference of Latvian Chaplaincy, the second in your history, allow me to relay the best wishes of all the participants of the European Network of Health Care Chaplaincy (ENHCC), that your conference be most successful. The Association of Professional Healthcare Chaplaincy of Latvia has proven to be a prime example of how chaplaincy can grow on all levels, developing a high professional standard of spiritual health care. It gives all of us hope that others will follow your example. The theme of your conference is timely. At this moment, one of the main concerns of the European Union is how care can be offered to those who are struggling in illness and in the face of death. The ENHCC has been involved in discussions on a EU level which seem to be promising. The fact that your conference will deal with this issue on an inter-discipline level shows you realize the many facets of this area of concern. What we very often forget, though, is that the struggle with life and death issues actually begins before illness and death become obvious. Each crisis of daily life poses us with the challenge to maintain our human dignity and place our lives in the perspective of God's Eternal Kingdom. Truly, there cannot be real dignity if we cannot assort the meaning of life in relation to what is eternal. Facing illness and death through this perspective gives one great hope in God's everlasting love and mercy. I am sure that your conference will be successful in that your bond as chaplains will give you all the requirements needed to continue providing spiritual care to those that have been entrusted to you. Roel Hekking from the Netherlands has passed on news of the sudden death of Tom Hanrath in a car accident while on holiday in France. I was very saddened and grieved by the news that Ton Hanrath of the Netherlands died at the age of 49 in a fatal automobile accident while travelling with his family in France.Ton was one of the founding members of the consultations for hospital chaplaincies that began in 1990. Together with Roel Hekking, he organized the 3rd Consultation in Oirschot, the Netherlands, in September 1994, which had as its theme: “The relationship between ministerial and professional competence regarding the quality standard of Hospital Chaplaincy”. Attending this Consultation were 24 participants from 15 countries. Ton continued playing a leading role in the consultations of Bath, England (1996) and Rome (1998). At the historic consultation that took place in Crete in 2000, Ton posed the need to form a network which would formally bring European Chaplaincies together. Throughout his deep concern for the advancement of chaplaincy in Europe, Ton accentuated the need for professionalism and high standards of all spiritual care givers. His insistence on high quality care was a momentum in forming the Standards of Health Care Chaplaincy in Europe.Within his own country, the Netherlands, he was instrumental in forming the multi-cultural aspect of spiritual health care. On behalf of all the chaplains throughout Europe, I would like to ask that you relay my sincere sympathy to all the members of the VGVZ for the tragic loss of such a very energetic and significant colleague. We have just received the first two issues of the newsletter of the new European Network of Homeless Health Workers. Topic covered: Treaty reform, future perspectives: Portuguese EU Presidency – social issues – Commission key initiatives for 2008, CSC Plenary Meeting, intercultural dialogue, EU-CoE cooperation. Tünde Édes, who has worked as as the only hospital chaplain for the last 16 years in the hospitals of Pécs in Hungary writes about a new exciting scheme for volunteer hospital visitors in her city. In his July Coordinator's report, Fr Stavros writes about his involvement in a meeting held at the Office of the EU's Commissioner for Public Health regarding “Palliative Care in Europe”. This meeting was initially suggested by the ENHCC when we presented our statement on Palliative Care to the Director of the Commissioner's office, Mr. Margaritas Schinas, this past autumn. 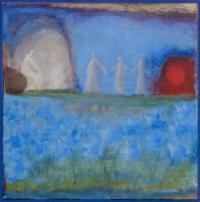 The 18th Nordic Conference for Hospital Chaplains was held in Porvoo, Finland, 13 - 16 June 2007 with the theme The Landscape of the Soul. There were 80 participants from all Nordic countries. The Conference was organised by the Evangelical Lutheran Church of Finland and led by the Rev. Kirsti Aalto. Below are 3 documents received from the Council of European Churches. Fr Stavros writes: During Holy Week, I received a call from the office of the Commissioner of Public Health of the European Union telling me that there will be a meeting on “Palliative Care in Europe” in June. This is a direct response to the request we as the ENHCC made to the Commissioner in October, when we presented him with the Statement on Palliative Care. I was informed that this meeting will take place on June 13th in Brussels. It will be a meeting, with representatives of major European organizations such as ours which deal with Palliative Care and representatives from the EU Commission and Parliament. Since being informed by the Commissioner's office, we have spoke several other times. He has stressed that this all is being done after the idea posed by us and is very thankful and hopeful for good progress. This is a major break though for the ENHCC in its efforts in shaping health care in Europe in a way where the spiritual/religious needs of the sick are tended to and where chaplaincy is acknowledged. It is a great honour that you send to our association all this very important work. As you said we have a lot of things in common and we can share all the recommendation already done. I suggest that you publish your standards in our journal, and in our web site. Fr Stavros sent letters of thanks to officials in Brussels participating in the dialogue seminar on "Social Services and Healthcare Services: A Contribution of the Churches and Church Organizations to the European Social Model” held in October 2006. We have received a summary of the decisions taken at the latest meeting of the Working Group on Bioethics of the Church and Society Commission of CEC. The Association of Professional Chaplains in USA has published a chart describing the variety of complementary spiritual practices and theraplies which are now in use. They invite others to submit information on this topic. Fr Rudolf Albisser (Co-president of the Association of Catholic Health Care Chaplains in German Speaking Switzerland) will publish a translation in German of a shortened version of the Coordinator's report made at the Lisbon Consultation. This will appear soon in a book about new developments in hospital chaplaincy, Spitalseelsorge im Wandel. Marie Opatrná has sent a copy of the programme of the Czech – Slovak Consultation on Health Care Chaplaincy held 5-8 October 2006. This Consultation was held under the auspices of Department of Oncology of the First Faculty of Medicine and General Teaching Hospital – Clinical Pastoral Care Centre. Continuing the report about the palliative care development in Ukraine, I would like to inform you that All-Ukrainian Council for patients rights and security organized or initiated some events connected with World Hospice and palliative care day. Leaders of largest Churches of Ukraine supported the initiative of the All-Ukrainian Council for prayer for the dying and incurably ill persons on 7th October 2006. Also a press-conference about the World hospice and palliative care Day was held. The representative of Ministry of Health Mrs. O. Kolyakowa, Vice-President of All-Ukrainian Council Mr. W.Serdiuk, representative of International Renaissance Foundation Ms. M.Sawchuk and President of the Palliative care Association Mrs. S.Martyniuk-Gres participated in it. Four TV channels broadcasted it and five publications in newspapers issued. a palliative care system in Kharkiw from the budget costs – 2007. Reaction from the Kharkiw administration is very hopeful. Task Force activities on needs assessment consolidate efforts of regional enthusiasts and creates good foundations for new activities and initiatives directed towards patients rights advocacy. Fr Stavros writes:This is a short note to inform you that our Network has been asked to participate in a “Dialogue Seminar: Social Services and Healthcare Services: A Contribution of the Churches and Church Organisations to the European Social Model” that will take place in Brussels, held by the European Union in conjunction with the Conference of European Churches (Commission of Church and Society). The meeting will be held on the 17th and 18th of October. Those invited to the meeting are the Churches that have liaison offices at the EU. I have decided to go to Brussels and attend this meeting. It will give us, as a Network, the opportunity to make our presence and show that we play in decisive role in the area of health care. This meeting will also give me the opportunity to make direct contact with the General Secretary of the Commission of Church and Society of the CEC in Brusssels, Rev. R. Noll, and explore ways in which our organizations can work closer together. Being that I will be in Brussels, I have arranged a meeting with Mr. Maragretas Schinas, Director of the office of the Commissioner of Public Health. At this meeting, I will present him with the statement on Palliative Care that we made in Lisbon and explore the possibilities to calling a meeting of all the chief agents involved in this area of care. Being that Dana Kalnina-Zake will also be in Brussels to attend the Dialogue Seminar, representing Evangelical Lutheran Church of Latvia, I have asked her and Anne Vandenhoek, our EU representative, to join me at this meeting. The numerous addresses, briefs and asks of the Ukrainian citizens made us to begin the project of Palliative Care in Ukraine. has a strong spiritual aspect. now, the ideas are officially supported by the Roman-Catholic Church, Evangelic-Lutheran Church and Ukrainian Lutheran Church. Other Ukrainian Churches (also Orthodox) supported us also. On behalf of all the participants of the European Network of Health Care Chaplaincy, I would like to greet you upon the embankment of your annual Conference which is to take place in Oulu (Northern Finland). The chaplains of Finland have been an important part in the development of chaplaincy in Europe. This has been highlighted by Rev. Kirsti Aalto's participation in all the European consultations that have taken place since 1990, her significant participation in forming the draft for the Standards of Chaplaincy for Europe and her election to the Network Committee since the Turku Consultation in 2002, which your National Chaplaincy graciously hosted. Allow me to thank you for the Finnish participation in our recent Consultation that took place in Lisbon this past May. Here, firm steps were made in building bridges so that chaplaincy can grow in hope. One of the steps taken was in agreeing on a “Statement on Palliative Care”. The theme of your Conference in Oulu, "As companions to the hope and grace", strikes a sensitive part of chaplaincy that will allow you to build your own bridge toward hope. Very often we as chaplains fall into the trap of supposing that we are capable of healing the spiritual and psychological wounds of those we minister. In doing this, we lose sight of who we really are and what is really needed in order for healing to take place. This often leads us to reach the point of despondency because we soon realize our own inadequacies, weaknesses and inabilities. We then become like the apostles who turned to Christ and asked: “why can we not heal” (Mark 9:29) and we fail to hear His response – that this can only take place if one, through prayer and abstinence, allows the grace of God to govern one's life. For, the power to heal is not ours, but Christ's who lives in us. When Christ lives in us, we do not express love in our limited human form, but we are an expression of His loving grace and bearers of hope – a hope in the Eternal Kingdom, “where there is no pain, nor sorrow, nor suffering, but life everlasting”. Thus, if we remain masked behind our facade in our attempt to hide our inadequacies and sinfulness, we will continue creating impersonal and shallow communities based on committees, social activities, and self-justified philanthropy. If we persist in our narrow-minded zealousness, we will remain ignorant of God's charismata (gifts of grace). Even worse, we will confuse our people and misguide them, not being able to diagnose their illnesses and determine their needed remedy. With prayers that your annual conference will be successful, I assure you that all of the chaplains in Europe will benefit from your gathering, so that we can join together and be united in His service. The face of Yunus Dudhwala smiles out from the cover of the Summer 2006 edition of the magazine Amicus Health, published by the Amicus Trade Union in the United Kingdom. Yunus (who was one of the UK College of Health Care Chaplains representatives at the ENHCC consultations in Dublin and Lisbon) was interviewed about the vital role of chaplaincy in today's NHS. Although spiritual care is vital for the health of many patients, it can sometimes be overlooked. At the end of the opening ceremony of the 9th Consultation of the European Network of Health Care Chaplaincy held in Lisbon, Portugal in May 2006 a white dove was released into the sky in the Convent garden. The white Dove is still there. She lives at the Convent. The sisters every day give food to her. And, they tell me, they every day pray for us, because the dove reminds them of our Consultation. Myself, I went there some days ago, and I could see the Dove... still flying, so free... as we have to be! Dr Rowan Williams, the Archbishop of Canterbury of the Church of England, preached a sermon at Westminster Abbey in London for the nursing profession attending the annual Commemoration of Florence Nightingale. Fr Stavros sent Greetings to the Annual General Meeting and Silver Jubilee of the National Association of Hospital Chaplains in Ireland. The Theme of the meeting was "Celebrating Christ Joyfully" and about 200 chaplains attended. Fr Stavros' letter will appear in the Assocaition's Newsletter, "The Carer"
Recently issued is a Chamber judgment at the European Court of Human Rights. The case concerns consent to the storage and use of embryos. Counsellors (CAPPE/ACPEP) wil be holding their annual conference 15-18th February 2006 in Winnipeg Manitoba, the heart of Canada. ENHCC Participants are invited to attend. Anne Vandenhoeck from Belgium has had an article published in PlainViews about the European Union and ENHCC. The November Newsletter of Peace Lutheran Church in Plymouth, Minnesota, USA has an article about the recent conference in Latvia of the Association of Professional Healthcare Chaplaincy of Latvia : "Spirituality and Health: the Integration of Professional Chaplaincy in Healthcare" . The article has some positive things to say about ENHCC. Peace Lutheran Church was the main sponsor of the conference and has been influential in allowing halthcare chalaincy to develop in Latvia. The members of the Network Committee of the ENHCC gathered between the 30th of September and the 2nd of October 2005 in Constantinople (Istanbul), Turkey, for their annual meeting. The meeting took place at the Ecumenical Patriarchate, who hosted the event. We have received a press release from Ecumenical News International in Geneva about the assisted dying debate in the UK. Leaders of six British faith communities have expressed grave concern at possible steps to legalise assisted dying for the terminally ill, in advance of a debate on the issue in the House of Lords, the upper house of the British parliament. ENHCC has received a note written by Katrin Hatzinger from the EKD office in Brussels on the report of the European Commission on patenting of Stem cells. It is in German, but the report can also be found in other languages on the EC website. The 10th European Conference for Pastoral Care and Counselling will be held in Sigtuna, Sweden, August 19 - 23, 2005. Theme of the Conference is "The Secular and the sacred - exploring a spirituality for our time". Main lecturers are poet and writer Ylva Eggehorn from Sweden, professor, PhD Leif Gunnar Engedal from Norway and Dr. Psychoanalyst Matti Hyrck from Finland. The Conference is organized by ECPCC, European Council for Pastoral Care and Counselling. The Conference has 70 participants from 20 countries. Rev Kirsti Aato (ENHCC Committee member from Finnland) has translated the Constituiton into Finnish. The Constituion is currently available in English, Italian and Finnish. At the conclusion of the meeting that took place between Dr Michael Weninger (Policy Advisor on Dialogue with Religions, Churches and Humanism in the EU) and the ENHCC (represented by Fr. Stavros Kofinas, Coordinator, and Chaplain Anne Vandenhoeck, Network Committee Member) the ENHCC was asked to become a "dialogue partner" of the Policy Advisor. Dr Weninger called a meeting of all his "partners" to inform then of the summit of EU leaders and the new developments within the EU, particularly after the issues raised in relation to the EU Constitution. Representing the ENHCC at this deliberation was Chaplain Anne Vandenhoeck. Fifty four senior clinicians and managers working in the UK, Europe and the USA share their experiences of implementing Integrated Care Pathways in their organisation. The conference will be held at Church House, Westminster in London 28-29 June 2005. 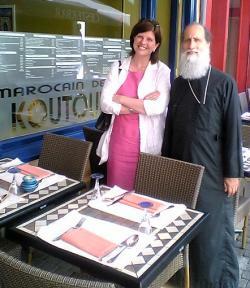 At the end of June 2005, Fr Stavros and Anne Vandenhoeck went to Brussels to meet with officials of the European Union. Very profitable meetings were held with: Dr Michael Weniger (Policy Advisor to the President of the EU, The Honourable Jose Manuel Barroso, and Chairman of the EU Group of Concerning Dialogue with Religion, Churches and Humanism); with Margaritis Schinas (Director of the Office of the Commissioner of Public Health, Pavlos Kyrpianou); and Dr Antoios Trakatellis MD (Vice-President of the EU Parliament). A full report of these meetings will follow. The Association of Professional Healthcare Chaplaincy of Latvia is organising a Conference on "Spirituality and Health: Integration of Professional Chaplaincy in Healthcare" which will be held in Riga, the capital of Latvia, 15-16 September 2005. ( www.healthcarechaplaincy.org ), a multi-faith center for pastoral care, education, and research in New York. Upon the repose of Pope John Paul II, allow me to express my sympathy on behalf of all the participants of the European Network of Health Care Chaplaincy. Most of all the Roman Catholic health care chaplaincy organizations in Europe participate in the ENHCC. They have been very constructive in forming a well-established pastoral ministry in their own countries and have been an essential part of forming the European Network. They are truly a witness to the visionary guidance Pope John Paul had in the area of pastoral concern. I am sure that his visionary presence will be greatly missed, but I am equally sure that his memory will continue to provide the guidance in administrating the Pontifical Council of Health Care. "I would like to announce that a special page has been created on the ENHCC website entitled “The European Network of Health Care Chaplaincy Library”. Our new “Library” will include articles and abstracts of articles that are related to our work. You can find the Library pages here: www.eurochaplains.org/enhcc_library/ One can also click the “Library” Button on the left hand row of buttons on any page. Editing the new “Library” will be Anne Vandenhoek of Belgium, who serves on the ENHCC Network Committee. She will be available to answer any further questions about the new “Library” and accept your contributions. All proposals (according to the instructions in the Library pages) to include articles should be sent to: library@eurochaplains.org "
On behalf of the participants of the European Network of Health Care Chaplaincy, allow me to greet all of you who are participating in the Annual Conference in Albuquerque, New Mexico, co-sponsored by the APC and the National Association of Catholic Chaplains. Our Network is composed of 31 ecclesiastical and national health care chaplaincy associations from 25 European countries. Its purpose is to share and learn from each other, to develop professional guidelines and to promote a high quality standard of health care chaplaincy. The theme of your conference, “Streams in the Desert – a call to professional renewal” truly touches on a basic concern that all of us have, which is the restoration and transformation of our personal and professional identity. Your theme brings to mind the early Christian ascetics of the desert of Egypt, who were considered to be the main “therapists” of their time. Their personal solitude was counter-balanced with the acceptance and understanding of their fellow brothers and sisters, providing a sense of solidarity. In them, we see that the “call to renewal” was a daily challenge. It was not self-centered but was dependant on their reliance on God's grace, which continually provided streams of blessings, transforming their human identity into new beings, beings that expressed God's philanthropy. Through our “European experience” of chaplaincy, we in the Network have realized that there must be a counter-balance between the solitude found in our individual chaplaincies and the acceptance and understanding of our brothers and sisters who minister in the countries around us. We have realized that we cannot remain comfortable and self-sufficient in our aloneness. For, this only causes a barrier in developing a true sense of pastoral identity and renewal. It is our prayer that God will provide the streams of grace upon all of those who take part in your most noteworthy conference, allowing for all of you to fulfil the inner transformation and renewal necessary to continue in God's service. We here in Europe assure you that you are not alone in your desert. We are with you in spirit, remaining in constant prayer for your well-being. After consultation with participants in the Network the date for the 9th Consultation in Lisbon, Portugal has been fixed as 17-21 May 2006. On the 30th of October 2004, the Church of Greece held a one-day conference for priests who serve in hospitals under its administrative ecclesiastical jurisdiction. The Standing Synodical Committee for Special Pastoral Issues organized the event. The theme of the conference was “The Philanthropy of the Church and the Philanthropy of God”. About 100 hundred Orthodox priests attended the conference. Opening the conference, Metrolitan Efstathios of Sparta, President of the Standing Committee relayed the blessings of the Archbishop of the Church of Greece Christodoulos, who was not able to attend due to unexpected obligations that forced him to change his schedule. In a written message, the Archbishop stated the importance of chaplaincy in the area of health care and the devotion that each chaplain needs to have in order to provide spiritual care to the ill. Taking part in the conference was the Rev. Dr. Stavros Kofinas, Coordinator of the European Network of Healthcare Chaplaincy. Father Kofinas spoke on “Approaching one's self and one another through Philanthropy.” He stated that “philanthropy” must not be limited to an “act” or a “service” but that it is a way of life, a witness of our participation in God's eternal Kingdom. Other presentations were made regarding the place of health care chaplaincy in the Church's history (Prof. Efstathiades of the School of Medicine) and particularly in modern times (Fr. Nektarios of the St. Savas Anti-Cancer Hospital). These presentations showed how vital chaplaincy has been within the framework of the hospital setting both in the past and the present. In the open discussion that followed the presentations, the chaplains all emphasised the need for the support from the administrative body of the Church. The issue of filling of vacancies was also discussed. All hospitals have the potential to create positions for hospital chaplains, but even if these positions have not been made, the Church assigns priests to these hospitals, as an extension of the ministry of a nearby parish. The greatest problem of providing adequate spiritual care does not seem to be the hospitals under the Ministry of Health but those that are “private” institutions. The Archdiocese of Athens announced that it is now forming a program for “lay volunteer assistants”. These volunteers will assist the chaplain in meeting the great needs for social support during hospitalisation. The Charity Department of the Archdiocese also re-edified said that it is open to providing contribution to patients in terms of their material needs (clothing, etc.). From Monday 14 February – Sunday 6 March 2005 the 2nd Annual Edinburgh International Festival of Middle Eastern Spirituality and Peace will bring together artists, scholars, grassroots spiritual activists, and speakers from the Sufi, Druze, Baha'i, Ismaili, Zoroastrian and other lesser known spiritual traditions, in addition to representatives of Judaism, Christianity, and Islam. More generally, all of the principal faith and spiritual traditions of Scotland are being invited to participate in this spiritual, cultural, and educational festival of peace and understanding. The Festival is jointly organized by the Edinburgh International Centre for World Spiritualities, EICWS, and the Edinburgh Institute for Advanced Learning, EIAL, and with the support of many other organizations. The Festival positively affirms the diversity contained within the religious and spiritual traditions of the Middle East, as well as those here in Scotland, in justice and equality. The Festival takes no fixed position on any political, ethical or cultural question. We intend rather to create a forum in which we can listen to one another more deeply and learn with a more open mind and heart. The emphasis of the Festival is on spirituality, and on spiritual, cultural, and educational approaches to peace and understanding. The Festival will bring together at least three different kinds of presentations. First, we hope to learn from each other about our shared traditions, as well as those that form the unique voice of any one of us. Second, we will hear from those who have been active in peacemaking on a spiritual basis on the ground in the Middle East. Third, we invite participants to share in the musical and devotional spiritual practice presented, in order to gain an experiential view of the traditions we discuss. Simply knowing facts (or presumed facts) about another does not become real meeting without such an experience. On behalf of all the participants of the European Network of Health Care Chaplaincy, allow me to greet you upon the embankment of the Conference of Roman Catholic Hospital Chaplaincy in Germany that is to take place in Magdeburg, Germany. The theme of your conference, "The profile of hospital chaplaincy in the future on the background of short-stay patients", addresses one of the major difficulties we face today in pastoral health care. It not only concerns itself with the spiritual care that is appropriate and necessary for the short stay patient's recovery, but it also brings up the question of the role and identity of the hospital chaplain and how he functions within and without the hospital. The growing amount of short-term patients is a motivation for the chaplain not to remain isolated. The pastor must be even more accessible, approachable, direct, and must serve as a bridge between the ecclesiastical and medical community of the hospital and the ecclesiastical community of the parish. The Roman Catholic Chaplaincy of Germany has a sound history providing the foundation needed to encounter all the challenges of the post-modern world of healthcare. Its participation in the European Network of Health Care Chaplaincy over the past years has proven that it holds the strong conviction that it cannot remain isolated and that it strongly believes in building the necessary bridges of communication within the community at large. For this reason, your participation in the ENHCC is highly regarded by all of its participants. May your Conference be most successful so that you can continue in offering us the knowledge and means necessary to improve chaplaincy throughout Europe. Fr Angelo Brusco has translated the Constitution of ENHCC into Italian. The text will appear in the next issue of the magazine "Insieme per servire" (n. 61, July-September 2004). The Conference of Roman Catholic Hospital Chaplaincy in Germany, consisting of delegates from 27 dioceses will hold a meeting in Magdeburg, Germany. The meeting will be held the 24th – 26th November 2004. The main issue will be "The profile of hospital chaplaincy in the future on the background of short-stay patients". The question will be where the patients can be met when they are only in hospital a short time. Where can pastoral care take place? Chaplains in Finland are preparing for their annual conference. Rev Kirsti Aalto, the Director of Hospital Chaplaincy of the Lutheran Church in Finland writes: "We have 92 participants on the list. The theme of the meeting is ... "unto the third and fourth generations"... (Exodus 20: 5). The place is Riihimäki, a small town, one hour from Helsinki, the date August 24 - 26. An excellent online resource, has been created in the United Kingdom intended to help broaden awareness of the needs of ethnic groups using healthcare services - as well as the needs of healthcare staff from ethnic minorities. Ethnicity online is funded by by the National Health Service and arose out of an initiative in the Cambridge University Clinical School that hoped to better educate trainee doctors in how to treat all of their patients with the dignity they deserve. The site provides information about diet, religious practice, death, contraception and many more subjects - so far for a limited selection of ethnic and faith groups, although ethnicity online is now in a second stage of development and plans to add much more. A major challenge facing those working in healthcare all over Europe is to understand how ethnic differences affect the perception of illness, the intimate personal interactions necessary for clinical practice and the delivery of healthcare. On behalf of the participants of the European Network of Health Care Chaplaincy, allow me to greet your Conference. In one of his homilies, St. John Chrysostom tells us that there are not superior of inferior talents but only different talents, which are a gift of the Holy Spirit. He encourages all to work together in harmony so that the Body of Christ be glorified in unity. Your Conference expresses this effort because it sees the need that we all work together in tending to those we care for. This has always been deeply rooted in your Orthodox Christian tradition. Among those who serve on your team is the chaplain. His role is vital because of the spiritual care he offers. In conveying my wishes, I want you to know that you are not alone in your efforts. The European Network of Health Care Chaplaincy which brings together all the chaplaincies of Europe, working together as a team, is supporting you in your efforts. Your Church's participation in the Network has been beneficial to us all. Effective management of pain and other distressing symptoms, while incorporating psychosocial and spiritual care according to patient and family needs, values, beliefs and culture. Both patient and family must be prepared for the dying process and for death, when it is anticipated. Around 200 people took part in a major conference on Spiritual Care in Scotland under the title "A Seamless Transition" on 26th November 2003. They came from a variety of backgrounds with many from chaplaincy, management and clinical areas. The purpose was to chart progress in the two years since the initial report which launched the Spiritual Care Guidelines Process, and the year and a bit from the production of the Scottish Executive Health Department Letter HDL(2002)76 2002 “Spiritual Care in NHS Scotland”. Read a Report about the conferenceA graphic artist was present. His cartoons illustrated salient points and were soon adorning the walls. On behalf of the participants of the European Network of Health Care Chaplaincy, which is composed of representatives from all the Churches and chaplaincy organizations of some 25 European countries, allow me to greet you upon the embankment of your Conference on the Issues of Bioethics and Biotechnology. It is without question that the value of human life in this post-modern era is an issue that we must all address. We who are chaplains and involved in the area of pastoral health care are on the front line is dealing with this issue. Within the healthcare settings patients, relatives and staff will approach the chaplain in order to answer the crucial ethical questions concerning their care. Facing these crucial questions, at the last our Consultation held in Turku, Finland, the issue of bioethics was stated in the newly adopted European Standards for Health Care Chaplaincy. New Chaplaincy Guidance Documents launched in London. At a special meeting hosted in London by the Multi Faith Group for Healthcare Chaplaincy on 5 November 2003 two important documents were launched which will have far reaching effects on how healthcare chaplains operate in England and Wales. Guidance about chaplaincy is given to health authorities in NHS Chaplaincy: Meeting the Spiritual and Religious needs of patients and staff, while training and development issues are addressed in Caring for the Spirit: a strategy for the chaplaincy and spiritual healthcare workforce. In reference to your letter of November 1, 2003, addressed to me and all the participants at the XVIIIth International Conference of the Pontifical Council for Health Pastoral Care, to be held in the Vatican on November 13-14-15, 2003, on the topic DEPRESSION, I would like to thank you for your kind words of encouragement and prayers for the success of the Conference. As you well know disease and suffering have no boundaries, they touch all people irrespective of their faith, race or age. And as such, Health Care Ministry brings together the combined efforts of both the civil, religious and private sector, to be at the service of the human person and his life. As Christians we cannot but strive and encourage each other to witness to the call of Christ, and learn from his own example taking care of the Sick and Suffering brothers and sisters. Rev Eirik Os, the Norwegian representation on the Network has written to say that the Norwegian health care chaplains had their annual conference in in the far North, in Tromsø in early November 2003. Knowing the importance of your task as President of the Pontifical Council for Health Pastoral Care and the role that the Pontifical Council plays in the formation of Christian ministry throughout Europe and the world, this letter is written to inform you of the European Network of Health Care Chaplaincy, of which I serve as Coordinator. Since 1990, European chaplains have been coming together every two years to exchange their experiences in healthcare chaplaincy. Essentially, the ENHCC was formed at the 6th Consultation that took place at the Orthodox Academy of Crete in November of 2000. Based on the “Cretan Declaration”, the Network is the largest body composed of official representatives from all the Christian denominations and chaplaincy organizations of Europe, which provide pastoral care in various health care facilities. The Network aims at mutual sharing and understanding both on a religious, cultural and organizational level. It brings together the various chaplaincy experiences of all the health care systems in Europe. The last Consultation took place in Turku, Finland in June of 2002. At this historic meeting, 40 official representatives from 21 European countries adopted the European Standards for Health Care Chaplaincy. These Standards state that chaplaincy provides pastoral services in a variety of health care settings, ministering to the existential, spiritual and religious needs of those who suffer and those who care for them. The Standards describe the organization and development of chaplaincy services, the area and activity of chaplains, their education, formation and supervision. There is an emphasis on how Faiths and chaplaincy services can be a vital resource in theological, pastoral, and ethical matters. Special focus is given to the areas of integrated spiritual development and bioethics. The Network's web page (www.eurochaplains.org) has a full description of all the countries, faiths, and organizations, the two past consultations held in Crete and Finland, and the European Standards for Health Care Chaplaincy. As you will notice on the Contact page, twelve Roman Catholic Chaplaincy Organizations have attended previous consultations of the ENHCC. In addition to these organizations, the Roman Catholic Church is also involved in many European national ecumenical associations that deal with pastoral health care. The participation of the Roman Catholic Church in the European Network of Health Care Chaplaincy is very valuable. Your experience in the area of pastoral health care has provided a source of comfort for many, not only in Europe but also throughout the world. I am sure that you will agree that we must all work together in this vital area of concern, learning from each other so that the care we offer will be improved. Because of this, it would be very beneficial if your office and the Network established a line of direct communication so that we can share thoughts and avenues in providing a closer working relationship with all the Chaplaincies of Europe. In viewing your web site, I noticed that your International Conference will be taking place in Rome this coming November. In a first step in establishing communication between your Committee and the ENHCC, I am sending a greeting to the participants of your Conference. Perhaps this could be read at your Conference. Further steps could be putting each other as links on our respective web sites and including your events on our news page. As the world gets smaller, it is important that we work together for the glory of God. With a firm hope that in the guidance of the Holy Spirit, on behalf of all the participants of the ENHCC, I hope in your favorable response to the European Network. Your Eminence,On behalf of all the participants in the European Network of Health Care Chaplaincy, allow me to greet all those who will be participating in the International Conference of the Pontifical Council for Health Pastoral Care that will take place at the Holy See of Rome. For many centuries Europe has been blessed with the care you have provided in so many of the areas of pastoral health care. You have truly been a witness to the calling Christ made to His Apostles when He said, Proclaim the good news, The kingdom of heaven has come near. Cure the sick, raise the dead, cleanse the lepers, cast out demons. You received without payment; give without payment. (Matthew 10:7-8). By doing so, not only has your flock been blessed with the love of the Holy Spirit, but also all of us who are involved in chaplaincy and in the field of pastoral health care and education at large have been inspired by your work. The theme of your International Conference is most significant. We live in a world which is downcast in its suffering, a world in which is there is despondency and very little hope. Man's sighing comes before he eats and his roaring is poured out like the waters (Job 3: 23-24). Yet within our suffering we can sense the mystery of God! Those of us who have been given the responsibility to proclaim the mystery of God's Grace know the depths and difficulties of depression and how it can hinder man in his spiritual growth. It is our hope that your Conference will provide all of us with new inspiration in dealing with these difficulties. May our Lord bless you in every way so that your Conference is successful. Allow me to take this advantage to thank you all for the hours of self-sacrificing service, for your fruitful ministry, and for the rays of hope which are shown throughout the world by your witness. The Metropolis of Thebes and Levadia of Greece held a international conference with the theme: "Christian Orthodox Theology and Psychotherapy - Convergences and Divergences"
Edward Morris is Whole-Time Chaplain to Hammersmith Hospitals NHS Trust In London. He is also Lecturer in Medical Ethics to the Post-Graduate Medical School of Imperial College University of London and Bishop's Adviser on Hospital Chaplaincy for the Kensington Episcopal Area. He was also a Senior Tutor at St. Stephen's House, Oxford. On behalf of the representatives of the European Network of Health Care Chaplaincy, allow me to greet you upon the occasion of your annual conference. I am sure that your time together will be most productive and spiritually renewing. Switzerland is a country that brings many people together in a spirit of international harmony. Being that you are in the heart of Europe, your country bears witness how different people can live and learn together, while preserving their own identity and traditions. Your participation in the European Network of Health Care Chaplaincy has shown this in a very distinctive way, and for this we are all most grateful to you. It is also our honour that your Association is not only a participant in the Network, but an active member on the Network Committee. May your Conference be filled with all of the blessings afforded in God's Grace, so that all of you will continue in the valuable ministry in the area of health care. The annual ecumenical conference for chaplains in German speaking Switzerland was held 27-28 October 2003. The title was "What is so wrong in feeling guilty?" and the speaker was Father Erhard Weiher Catholic Chaplain at University Hospital Mainz, Germany. A multidisciplinary conference on spirituality and healthcare hosted by the School of Divinity and Religious Studies, University of Aberdeenwhich will be held 12th – 13th January 2004 at the University of Aberdeen, Scotland UK. 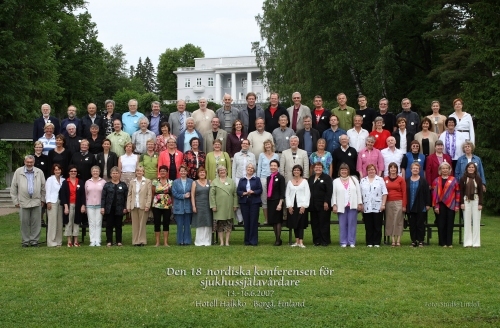 The 2003 Finnish Hospital Chaplains conference was held in August at Kuopio. On behalf of all the chaplaincies that participate in the European Network of Health Care Chaplaincy, allow me greet you all, hoping that your Conference will be most productive in every way. Sweden has played a vital role in shaping health care chaplaincy in Europe. It has always been a true expression of a sound theology and a well based pastoral clinical experience. The European Network is most grateful to the Health Care Chaplaincy of Sweden. For it t was the insightful vision of Rev. Sten Ludgren that brought chaplains together from all the Europe to consult on their experiences. His humbleness and deep respect for each and every chaplain, his eagerness to learn and his encouragement to continue in faith was and remains to be an inspiration to us all. As you gather together in Sweden, remember that there are many others all over Europe who are serving in the area of health care chaplaincy. For only is unity can we minister to those who seek to be whole. co-operating with healthcare and chaplaincy organisations, bodies and authorities. The Finnish version of the Turku Standards appears in the annual Hospital Chaplaincy report of the Evangelical Lutheran Church of Finland. 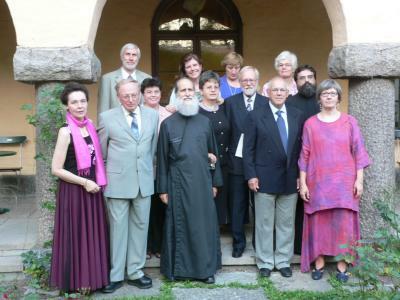 For those who do not read Finnish, there are also photographs of the Turku Consultation in June 2002 together with the members of the network who met the Ecumenical Patriarch at the pre-consultation meeting in Istanbul in January 2002. Christine Pocock recently met Jitka KRAUSOVA, the General Secretary of the Ecumenical Council of Churches in the Czech Republic, when she visited the Churches Together in England office. Christine writes: "She was very keen to gain any information which would help the fledgling health care chaplaincy service in her country. I introduced her to the Eurochaplains website and suggested one or two names of members who might be able to help. She wanted information about basic training programmes, so I gave her some material from our Training and Development office. I have heard that contacts across Europe have already been made and that her colleagues found the general training material very useful. She would now be grateful for more detailed information on actual training programmes, so if anyone can help, please do. her office address is: 370/5 Donska st.
She is a youthful, enthusiastic person and speaks excellent English. I guess we would want her or a chaplaincy colleague on board our euroboat. The German language version of the European Standards for Healthcare Chaplaincy has been published in Schweizerische Kirchenzeitung (10/2003)the official newspaper for all those who work in the Swiss Catholic Church. Marlene Inauen, who who is a hospital chaplain in Zurich has also written about the Turku Consultation where she was the representative of the Catholic Hospital Chaplains in Swizerland. The Salvation Army Chaplaincy Centre at St Petersburg which cares for children with HIV/AIDS has launched a web-site to be used by children both for information and various activities. It is only in Russian now, but English and possible Norwegian is on the way.